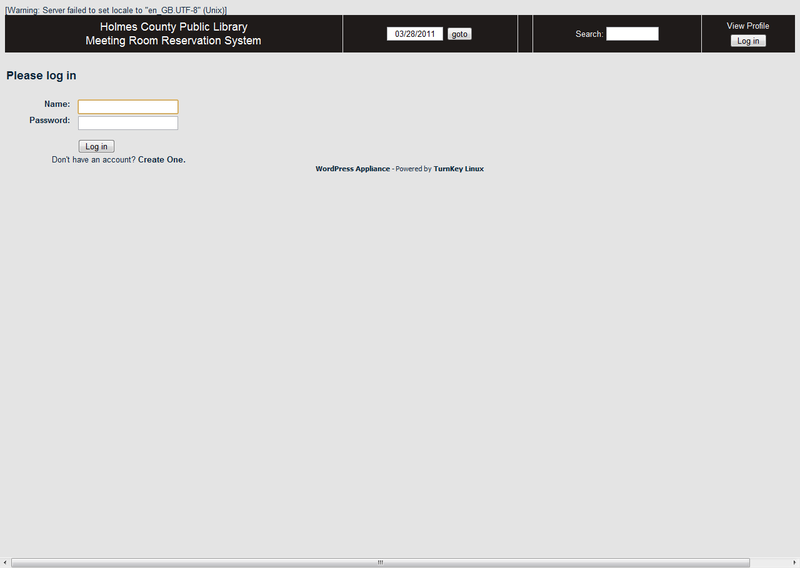 If you have not already done so, please register for the Meeting Room Reservation System to request our meeting room online. 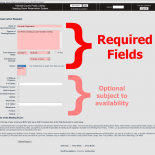 All fields are required except as noted. 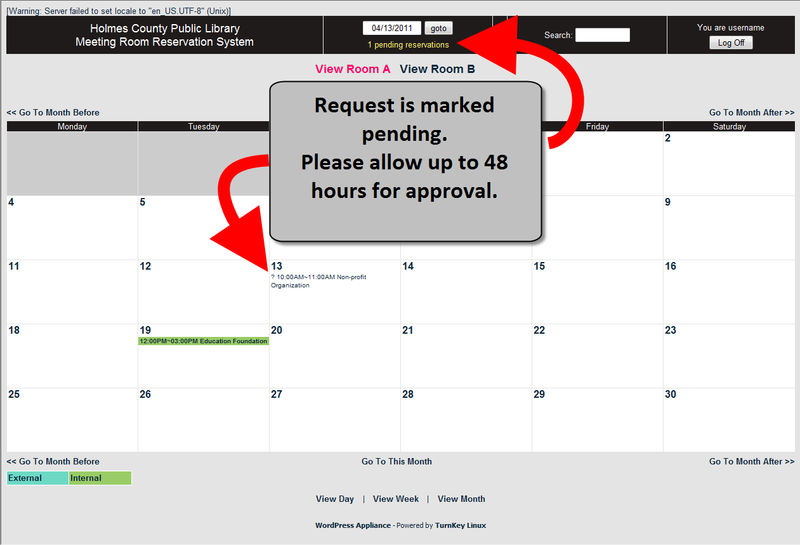 In addition to providing an online version of our Meeting Room request form, this system also allows returning requesters to copy or duplicate an existing request and save time by not having to re-type contact information for each request. Once you have successfully registered, navigate to meetingroom click on the Log In button in the upper right area of the screen to log into the MR Reservation System. 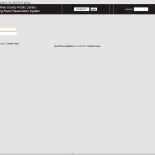 The login form will load and will prompt you for your username and password. 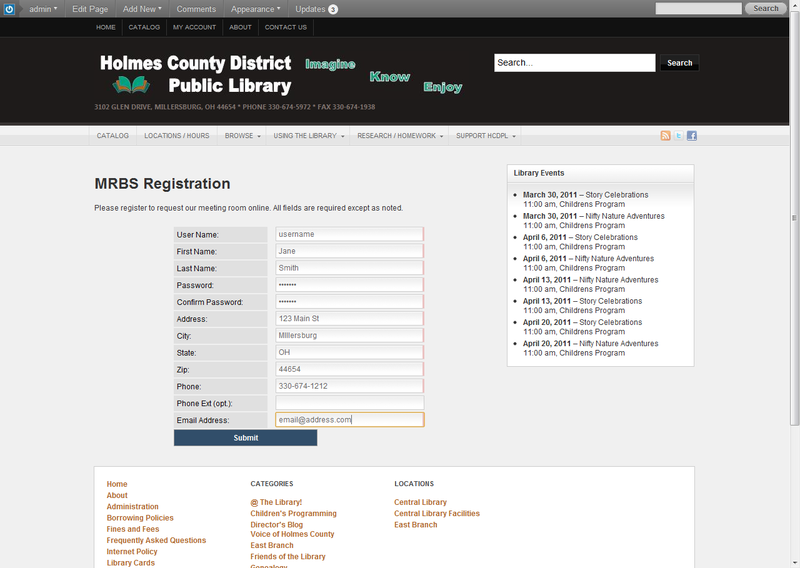 Once you have logged in successfully, you will see your username as a link to your profile above the Log In button. 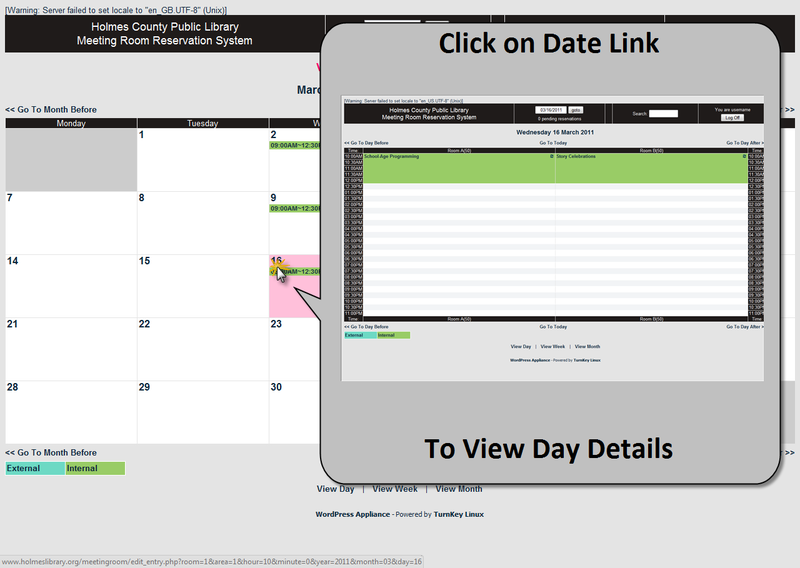 Once you have logged into the system you will be able to browse through the calendar in day, week or month view to locate an available time slot as well as toggle between available rooms using various links surrounding the calendar. 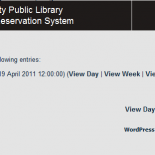 Click on the View Day, Week, Month links at the bottom of the page to load the appropriate detail view. 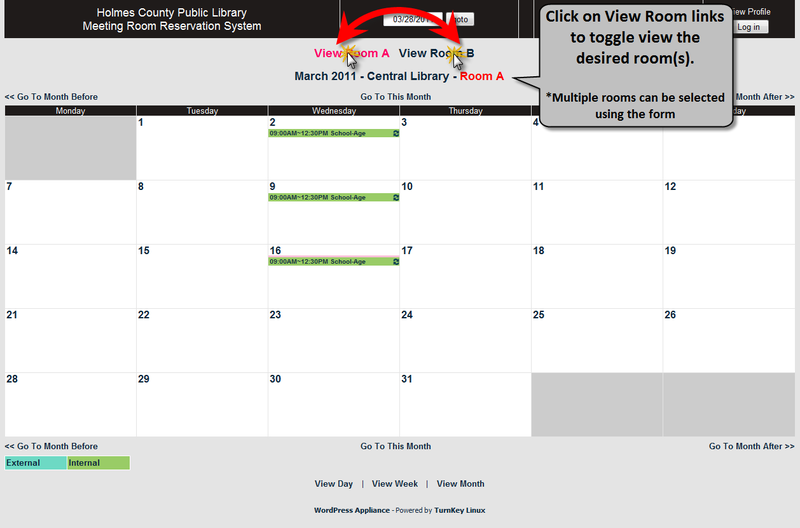 Click on the View Room links at the top of the calendar to switch between rooms. 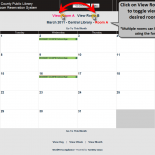 The title of the room currently being browsed will be highlighted just above the weekly and monthly views. The daily view will display the details for all rooms. 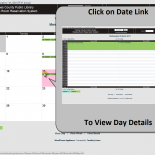 You can also select to view the details of a specific day by clicking on the date link located in the upper left of every day cell on the monthly calendar or at the top of the column in the weekly views. The day detail view gives you the ability to select a specific starting time slot for a specific room by clicking on the appropriate cell. 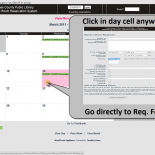 Clicking on any part of a day cell will load the request form directly. 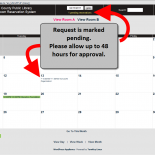 Clicking on these detailed views will then load the Request form with the desired room and starting time slot preselected and filled in. 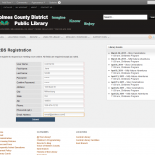 See the next section for directions on completing the remainder of the form. 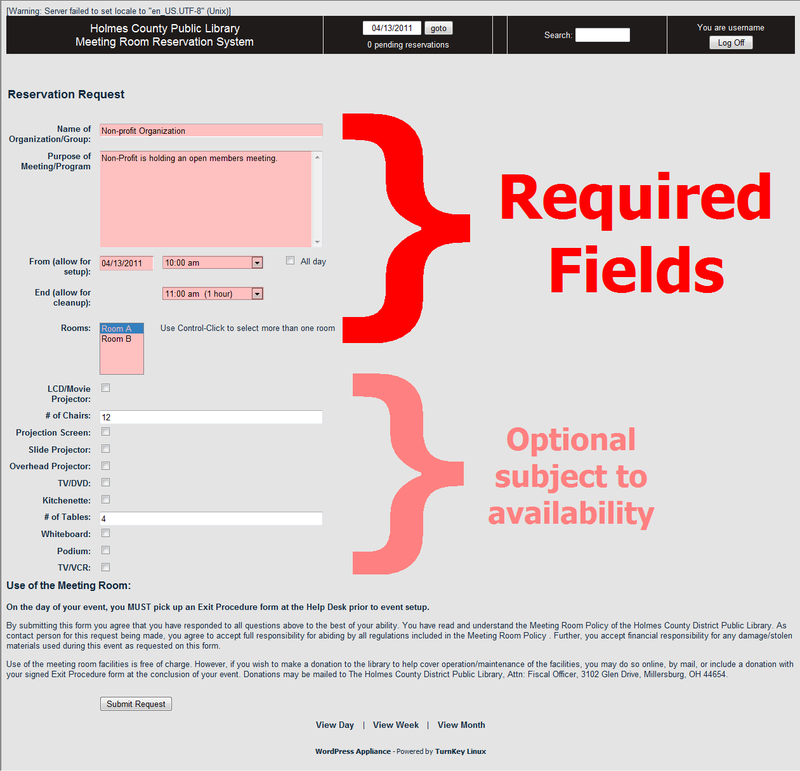 Complete the required fields of the request form by selecting the desired day and time as well as entering the name of the organization and the purpose of the meeting or event. Be sure when selecting the starting and ending times to include a appropriate amount of time before and after to allow for setup and tear down of the room. Optionally, you may request equipment and accessories for a given request. Please note that these are subject to availability per the meeting room policy. 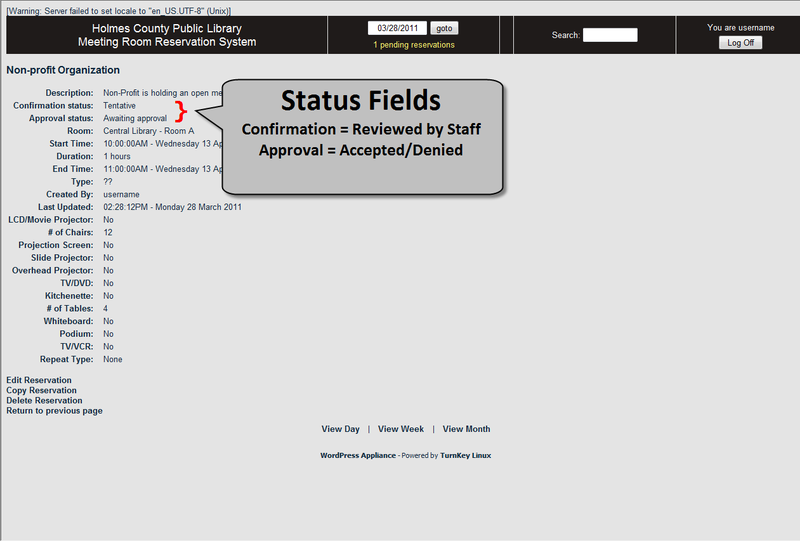 Upon successful completion of the Request Form, you will be returned to the calendar view with the request marked as pending. 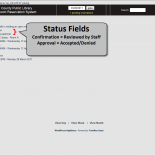 Please allow up to 48 hours for a confirmation from library staff. you may view the details of your request by clicking on the link within the calendar or you may view all pending requests by clicking on the link at the top of the screen. If there is a conflict with the selected time slot, a screen will be displayed informing you of the conflict and the request will not be submitted. NOTE: If you wish to change the time on the form without losing any other inputted information, please click on the back button in your browser to return to the form. 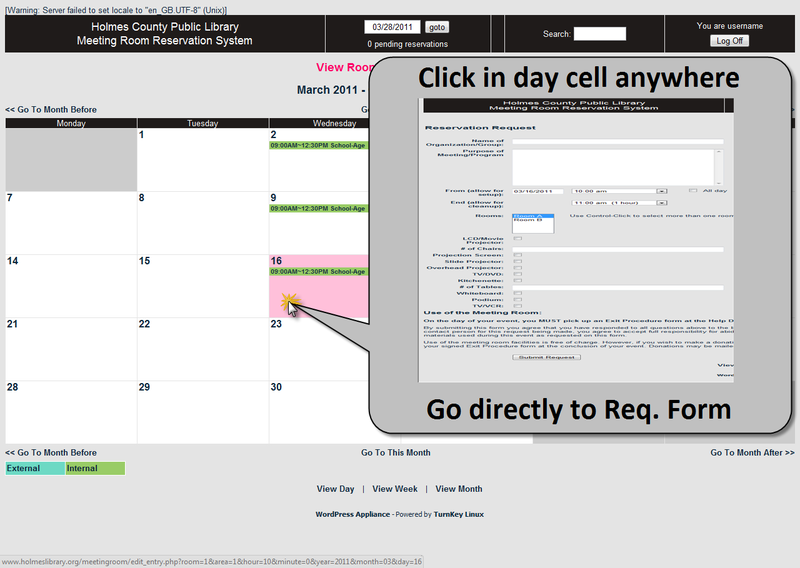 If you wish to return to the calendar to browse for another day/ time slot, click on the Return to Calendar view link.